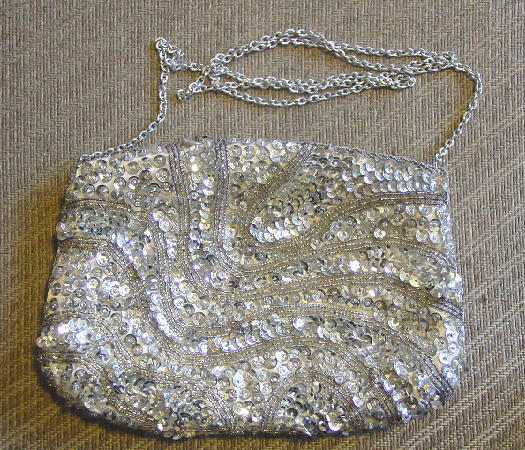 This vintage silver sequined and beaded purse was made in Hong Kong. It has a freeform wave pattern of silver sequins divided by tiny silver-tone beads. The top has diagonal rows of the tiny beads along the top side to side zipper opening. 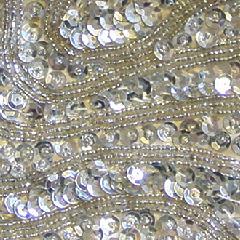 The beads and sequins are sewn on a white (probably acetate) backing. The lining is white and has a small open pocket. 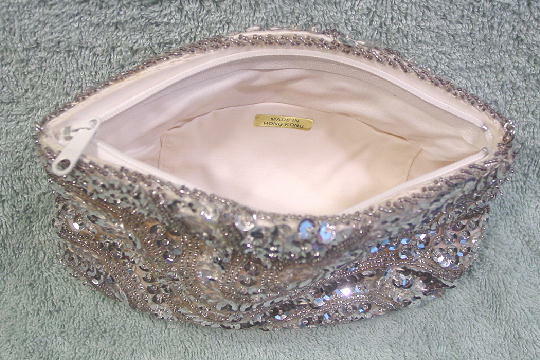 Behind the lining is some padding which gives the purse some body. It has a 36 3/4" long textured silver-tone link shoulder chain.